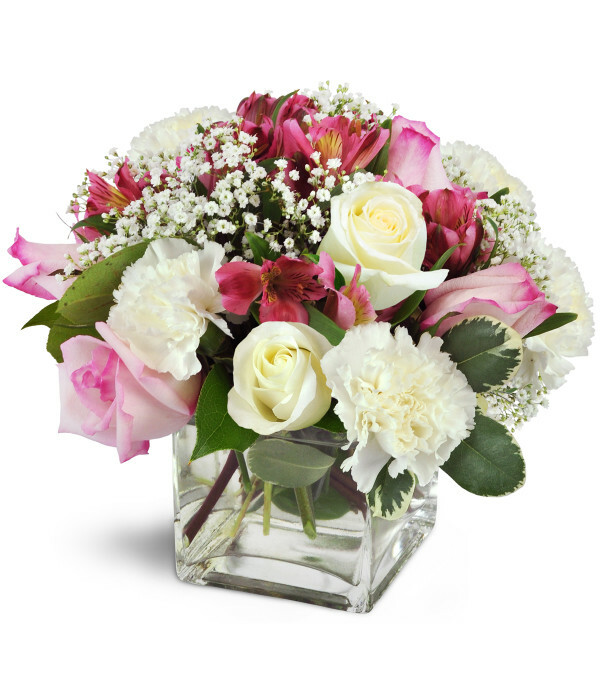 For the modern bride, new grad, or new mom, this beautiful pink and white rose and carnation gift looks stunningly chic in our distinctive clear cube vase. Low and full with a decorator feel, this bouquet pleases the fashionista and the traditionalist alike. With pink alstroemeria and baby’s breath, our "Blushing Blessings Cube" bouquet marks special times of our lives with distinction. 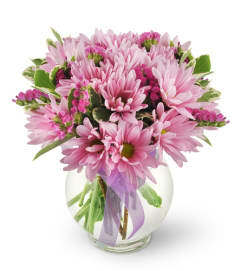 Pink roses, pink peruvian lilies, and white carnations are a delicate delight for a birthday, new baby girl, and more! A modern cube vase completes the look. I was very happy with the flowers I order, and they stood out very nice. Thank you once again for the arrangement you did for me. Lovely flowers and reliable delivery! The girlfriend loved them. Thanks! 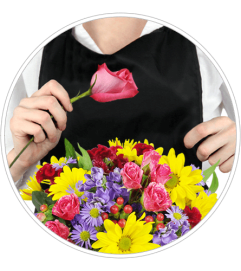 Westdale Florist is a Lovingly Florist in East Gwillimbury. Buying local matters. Discover how Lovingly supports local florists.